We are proud to partner with great agencies and businesses in our community to provide outstanding services that enrich lives and strengthen a spirit of community. Join us in thanking our partners for their cooperation and committment. 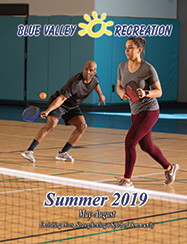 Blue Valley School District - Blue Valley Rec partners with the Blue Valley School District for use of facilities. All basketball and volleyball practices and games are played in BVSD middle school gyms. Performing Arts classes and camps also use school district facilities. Contract Classes - Thanks to our partners below, we are able to offer a wide variety of classes throughout the community. There's something for everyone!